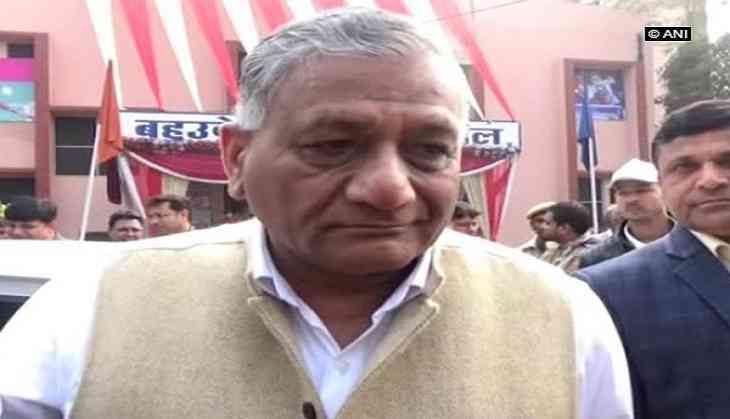 Minister of State (MoS) for External Affairs VK Singh said that no one is allowed to misrepresent and distort the history in the name of freedom of expression. Talking to media here on Wednesday, he further defended the people protesting against the film Padmaavat, saying that protests are inevitable if anything is not done without consensus. "Whenever we say something about history we must cross check it. Freedom of expression doesn't give us any right to tamper the history. We should pacify and resolve the situation by talking to the people, who are protesting against the film. They should be asked about their concerns and objections in the film. Whenever there are clashes of interest, things will certainly be messed up," Singh said. The Sanjay Leela Bhansali magnum opus, which released today, has been embroiled into a controversy since its inception. While various Hindu and Rajput fringe outfits have raised objections over the epic drama, the Supreme Court has given a green signal to the film. The top court had set aside the notification passed by the states of Madhya Pradesh, Haryana, Rajasthan and Gujarat to ban the release of the movie. Meanwhile, various fringe groups including Rajput Karni Sena has gone on a rampage and is creating ruckus all over India demanding a ban on the film.